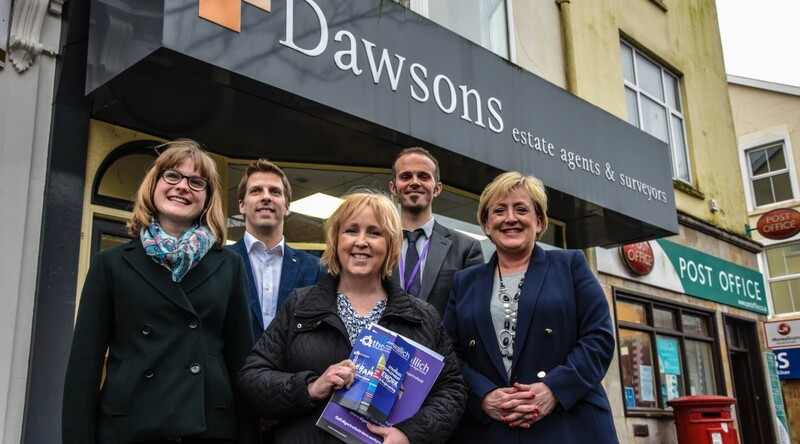 Dawsons Property has welcomed Suzy Davies AM to their branch at 11 Walter Road, Swansea to hear about their collaboration with homelessness charity The Wallich. Dawsons has worked in partnership with The Wallich in Swansea for more than 10 years, helping to secure private rental accommodation for service users. As part of Dawsons’ 25th Anniversary last year it selected The Wallich as its charity of the year, raising funds throughout the year and most notably during Clash of the Corporates in October 2016 – which it won by raising over £3,200 through events including a curry night with raffles, auctions and a series of games. Other fundraising activities throughout the year, including a mud assault challenge, dress down day and collection tins, helped them raise a total of £4588.37 for The Wallich. Harry McKeown, Area Manager South West Wales at The Wallich, added: “It has been a pleasure to talk to Suzy Davies AM about our work with Dawsons and the challenges faced by homeless people in Swansea. “Dawsons have been an excellent partner through their fundraising and support for homeless people to move into sustainable accommodation in the area with bonds. Joanne Summerfield-Talbot, Dawsons’ Director of Residential Sales, said: “Our 130 staff really bought into it from the outset. Everyone has thrown themselves into it and we are thrilled with the amount raised. Caption: L-R Mia Rees, Public Affairs and Research Manager, The Wallich, Ricky Purdy, Director of Residential Lettings, Dawsons, Suzy Davies AM, Harry McKeown, South West Wales Regional Manager, The Wallich, and Joanne Summerfield Talbot, Director of Residential Sales, Dawsons. Dawsons and Eastside Insurance Services have launched a collaboration that will make the lives of private landlords a lot simpler. Whether landlords own one property or portfolio of rental properties, it is vital their assets remain protected with property owners’ insurance, for the building and its contents should a property be let on a furnished basis. 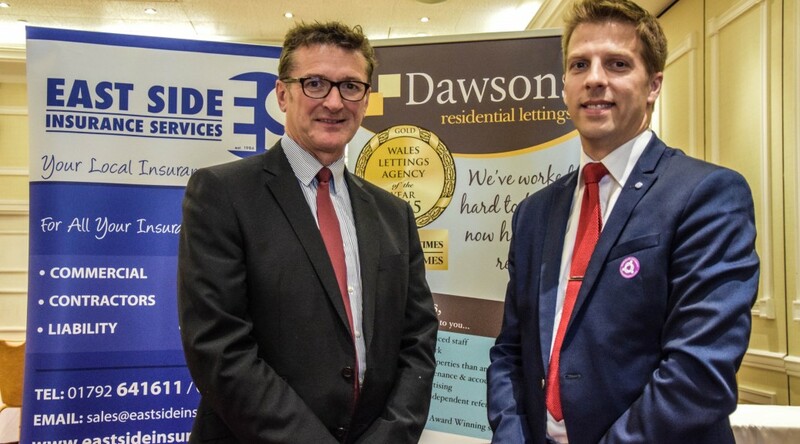 Dawsons, who manage and secure tenants for many landlords, decided to join forces with the local and growing insurance company Eastside Insurance. Ricky Purdy, Director of Dawsons residential lettings, said the partnership with Eastside would be mutually beneficial. “We are very much looking forward to working alongside Eastside, who we know are a well-established and respected local company,” he said. “We know Eastside offer market leading services, so it’s great that we can provide this reassurance to our clients having built a relationship as two local brands, recently celebrating milestones of service to our community and further afield. “Being able to provide these further services to our landlords, be those with one property or several, gives continuity, reassurance and always a local point of contact. These are key for Dawsons, and reflect the services we already offer our clients. Lynda Fisher, Account Handler at Eastside, said: “We are really excited to be working alongside Dawsons, and are confident it will be a great success from the outset. 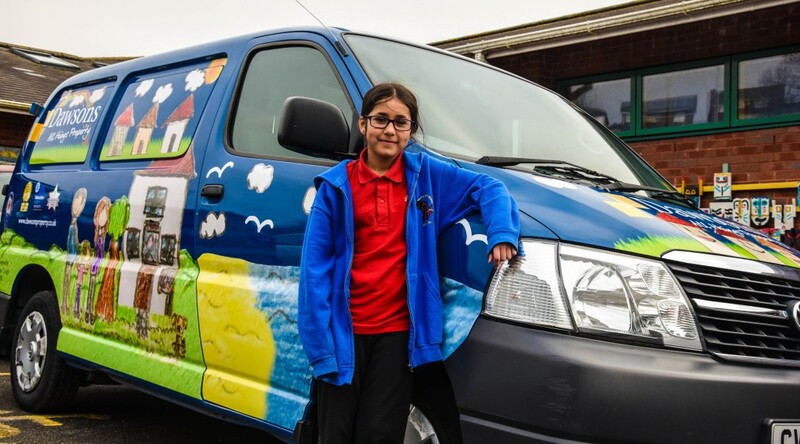 Proud Sketty Primary School pupil Angelina Chugh is celebrating after having her winning drawing emblazoned on a Dawsons Property van. The 10-year-old, who is in year six at Sketty Primary School, took top prize in the competition organised by Dawsons Estate Agents involving over 60 pupils from the school. Angelina was delighted to see her drawings on all angles of the van which is seen daily in and around Swansea. The theme of the competition was to draw a picture depicting family, houses and Swansea. “I was really delighted to learn I was the winner because I have never won anything before,” said Angelina. “We wanted to brighten up the van so decided it was a good idea to involve the school children from Sketty whom we have involved in some of Dawsons projects previously. 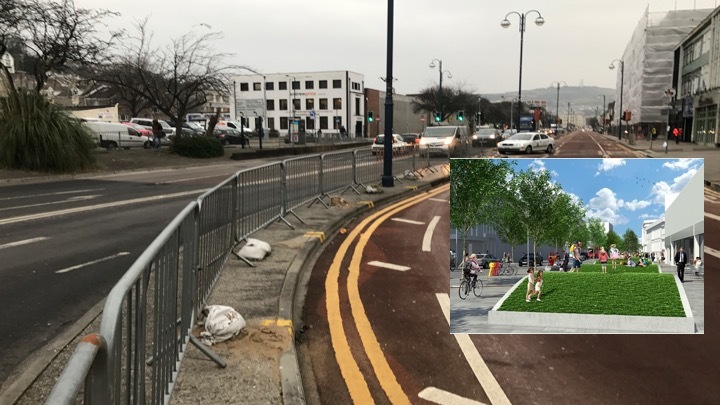 For winning the competition, which was judged by Swansea graphic design firm Hansign, Angelina was also presented with a family ticket for four to use at the Winter Wonderland whilst she waited for her van drawings to become a reality.